On the second anniversary of the Modi's 2016 decision to ban Rs 1,000 and Rs 500 notes, Finance Minister Arun Jaitley on Thursday claimed the decision proved beneficial for the economy. In an article 'Impact of Demonitisation' written by Jaitley, the Finance Minister said demonitisation is a key step in a chain of important decisions taken by the Government to formalise the economy. The Government first targeted the black money outside India. Asset holders were asked to bring this money back on payment of penal tax, he said. Those who failed to do so are being prosecuted under the Black Money Act. Details of all accounts and assets abroad which have reached the Government, resulted in action against the violators, Jaitley added. Technology has been used for both Direct and indirect taxes to facilitate filing of returns and expanding the tax base, the minister said. 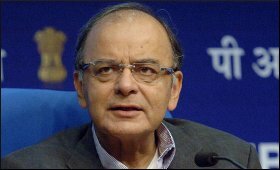 Financial inclusion was another important step to ensure that even weaker sections became part of the formal economy, Jaitley claimed. Jan Dhan Accounts have resulted in most people being connected to the banking system. The Aadhaar Law has ensured that Direct Benefit Transfer of Government support system reached directly into the bank accounts, he added. The GST has further ensured that in the matter of Indirect taxes, the tax procedures become simple. It is now becoming increasingly difficult to evade the tax system, Jaitley said. In contrast, ridiculing Prime Minister Narendra Modi's "knowledge of economics", the Congress on Thursday ripped into him for the "reckless" decision of demonetisation that it said wrecked the economy and consumed many lives.